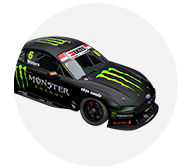 Tickford Racing rookie Richie Stanaway set the pace in third Supercheap Auto Bathurst 1000 practice, leading an all-Ford top four. Stanaway turned a 2:29.0174s in his RABBLE.club Falcon in the early stages, a lap that wasn't beaten in another rain-hit but incident-free session. 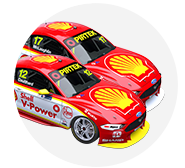 The Shell Fords of Fabian Coulthard and Scott McLaughlin were second and third, ahead of another Tickford Falcon from Chaz Mostert. Supercars Championship leader Shane van Gisbergen was the best of the Holdens in fifth, while team-mate Jamie Whincup did not turn a lap. Mount Panorama dried gradually through Thursday afternoon, but the track was still wet for the start of Practice 3. Lap times improved, however after 15 minutes Stanaway's effort was still four seconds off the day's fastest, set by Will Davison in Practice 1. 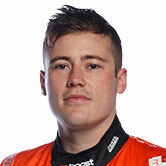 A significantly drier line did not emerge, with Stanaway's time good enough to finish on top. The New Zealander, joined by Steve Owen for the PIRTEK Enduro Cup, finished 0.1254 seconds clear. 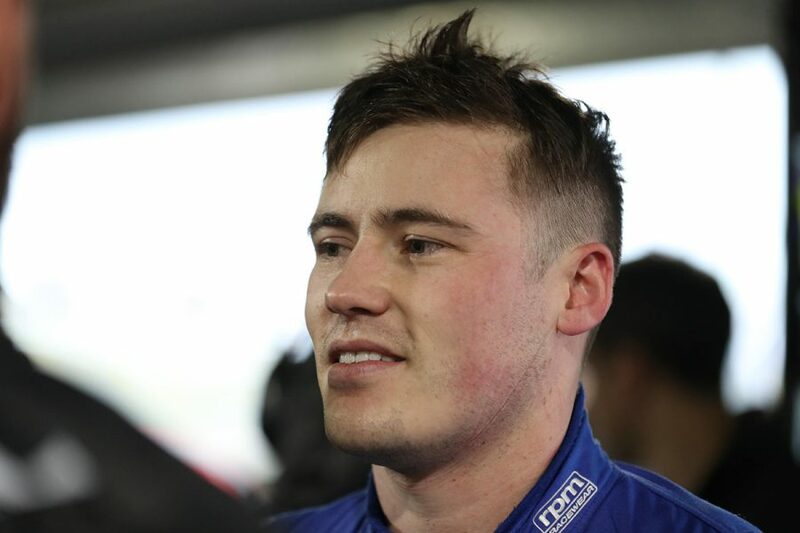 “It’s obviously been a disappointing season, but when the conditions are a bit mixed you can kind of capitalise, so it was nice to do that today,” Stanaway, 24th in the standings, said. “It’s been frustrating, but I’m pretty patient, the guys at the top have taken five or 10 years to get there. 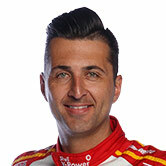 Coulthard set the time that put the #12 Falcon he shares with Tony D'Alberto into second mid-session. 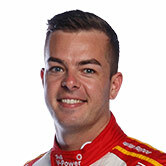 McLaughlin – whose co-driver Alex Premat was fastest in Practice 2 – finished 0.5529s off Stanaway in third, with Mostert 0.7067s adrift. “It was a bit of a weird day,” Coulthard said. Van Gisbergen was next in the order, while Cameron Waters made it three Tickford Falcons in the top six, the Ford squad having been strong in the rain at Bathurst 12 months ago. Michael Caruso, Craig Lowndes and Simona De Silvestro rounded out the top 10. The Caruso/Dean Fiore Nissan was back on track after an engine change between Practice 2 and 3, while Lowndes had a wild ride through The Chase. 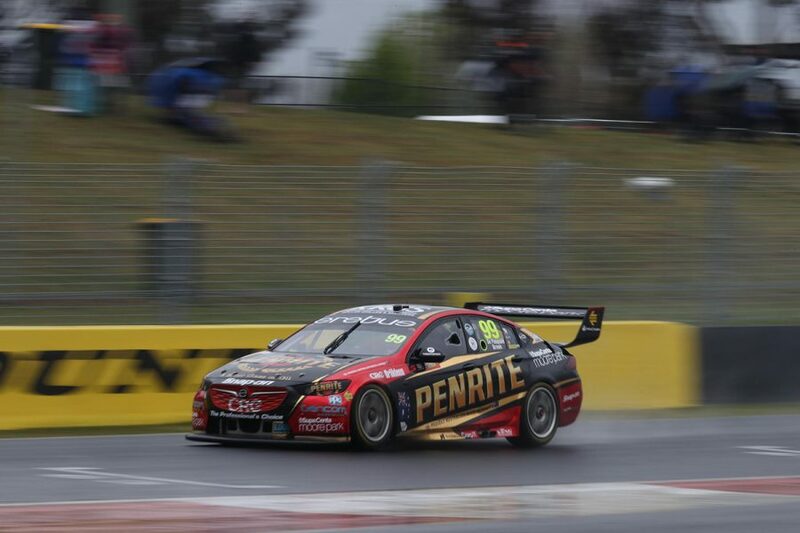 Nick Percat was the lead Brad Jones Racing Holden in 11th, ahead of Mark Winterbottom and the Erebus Commodore of Anton De Pasquale and Will Brown. The #99 ZB sat out the first two sessions, with Brown setting its time on Thursday afternoon. “I did most of that session then and feel comfortable,” De Pasquale said. Erebus team-mate and defending Bathurst winners David Reynolds/Luke Youlden were 17th fastest from the 22 entries that registered times. Whincup/Paul Dumbrell were joined by Rick Kelly/Garry Jacobson, Jack Le Brocq/Jonathon Webb and James Golding/Richard Muscat in sitting out proceedings. “We’ve got a program this weekend,” Whincup said. “There were a couple of items we could tick off in P1, but there was no purpose in going out in P2 or P3. Friday's running includes a pair of practice sessions, the first starting at 8:30am, and ARMOR ALL Qualifying from 3:50pm.